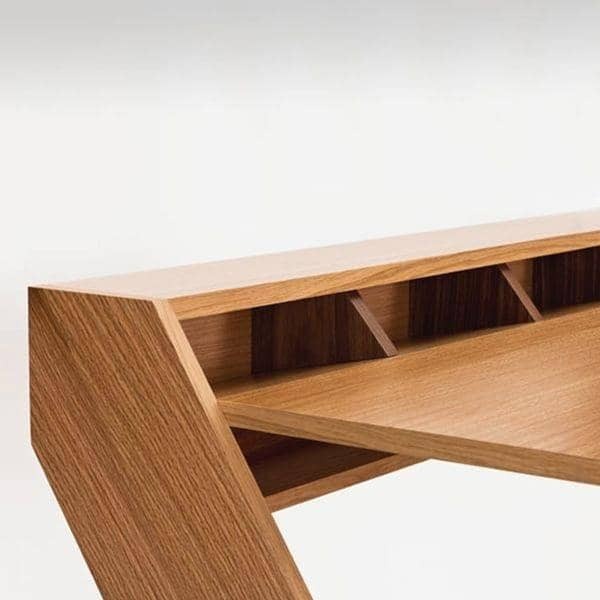 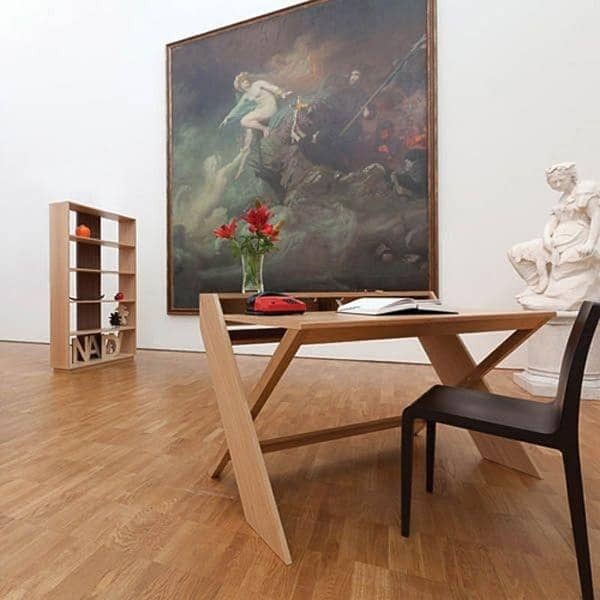 Conceived by London furniture designer Leonhard Pfeifer, the desk has a wide worktop that finishes in angled nooks, creating handy filing compartments (made in walnut) for paperwork, while the raised rear surface is ideal for auxiliary monitors. 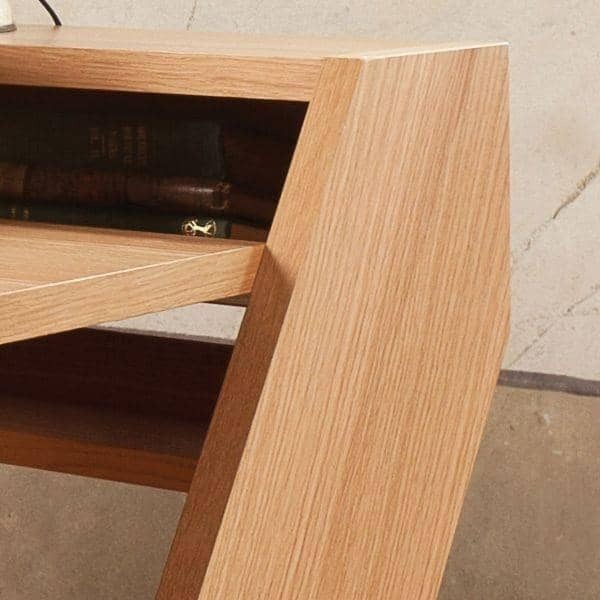 The designer included a low shelf for power transformers and external hard drives, integrating technology into the form. 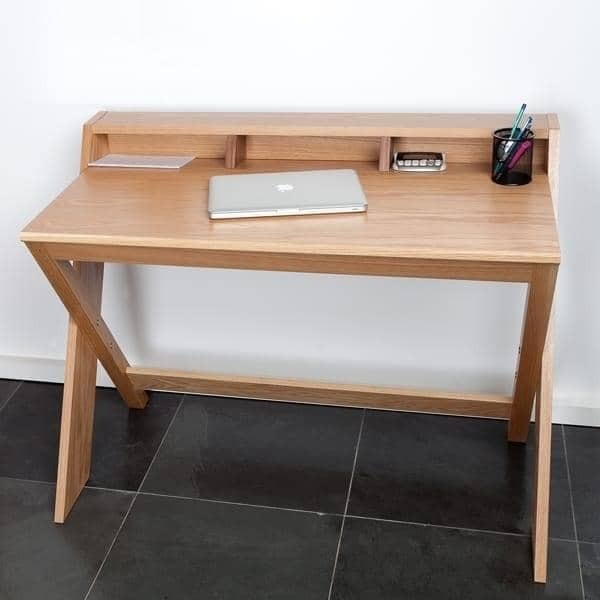 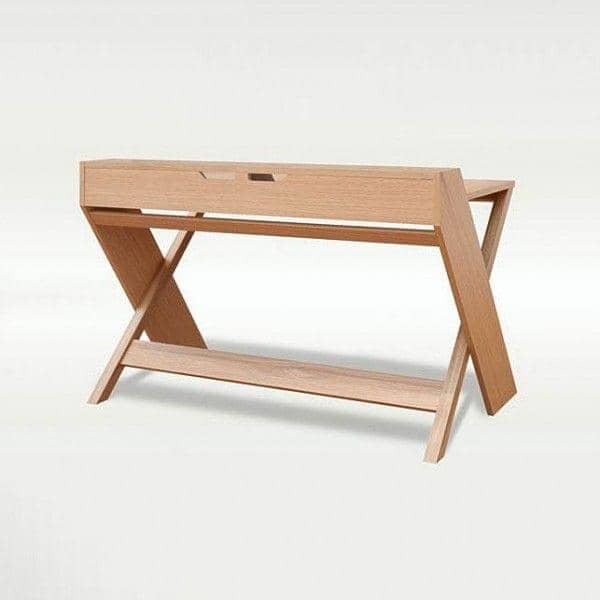 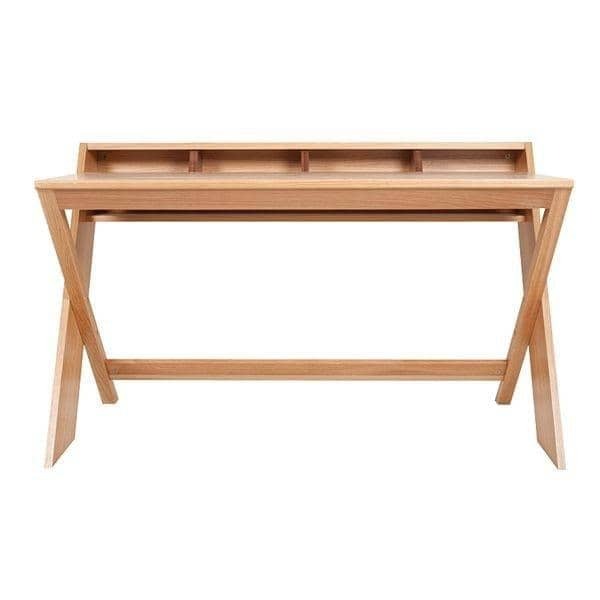 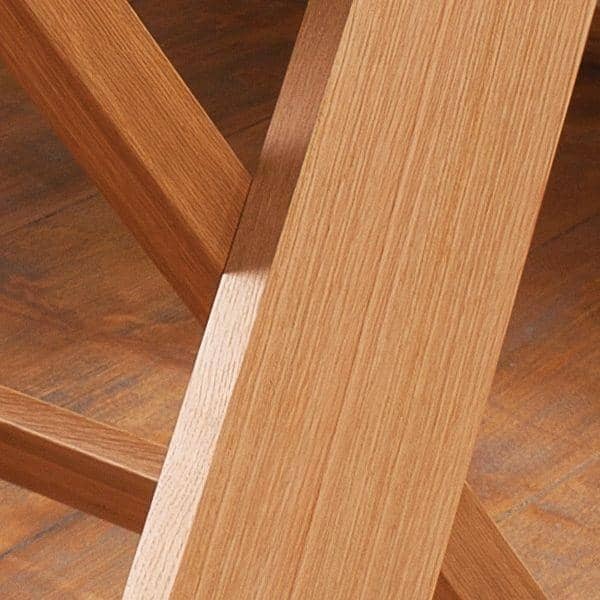 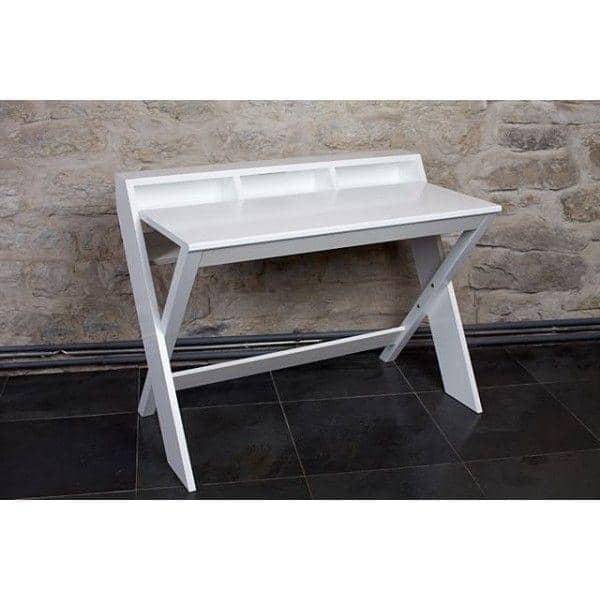 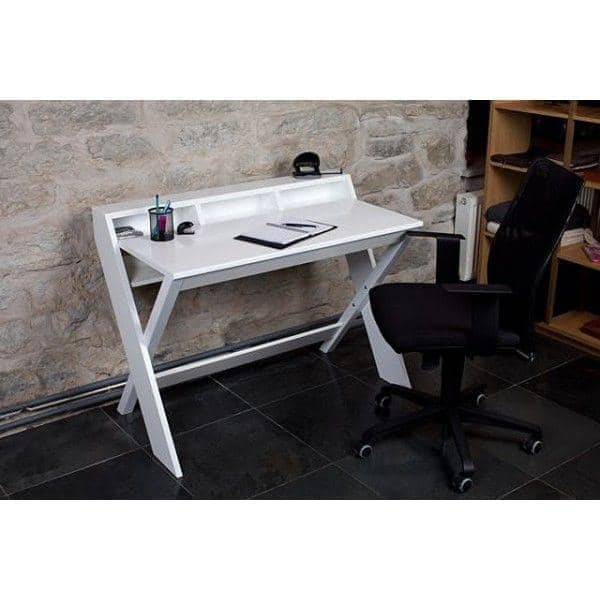 Ravenscroft is an oak desk with a cross-leg design. 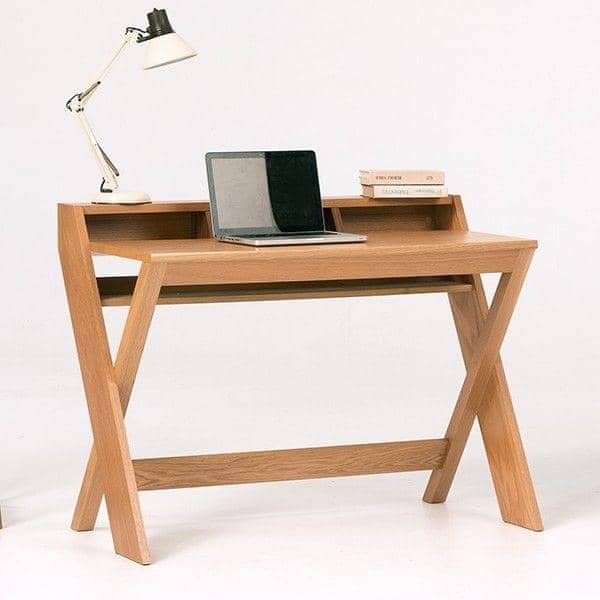 It features a wide desktop, hidden cable access slots, filing compartments, and a raised rear surface intended for monitors. 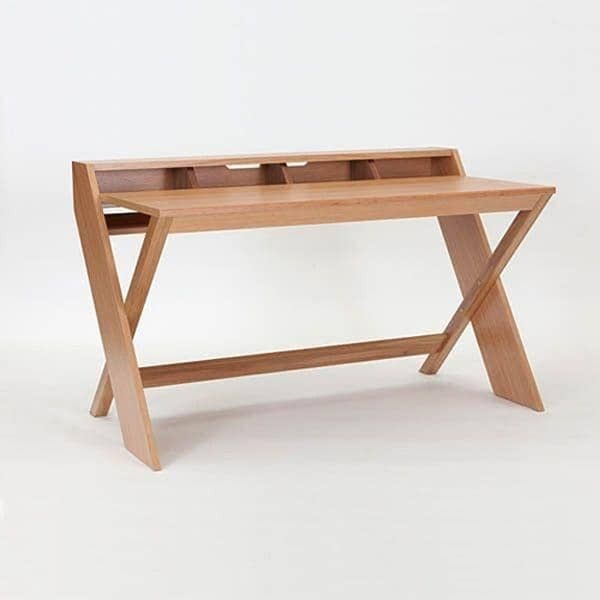 Influenced by the Modernist Movement, Pfeifer likes “pure and geometric forms” created with fine detail. 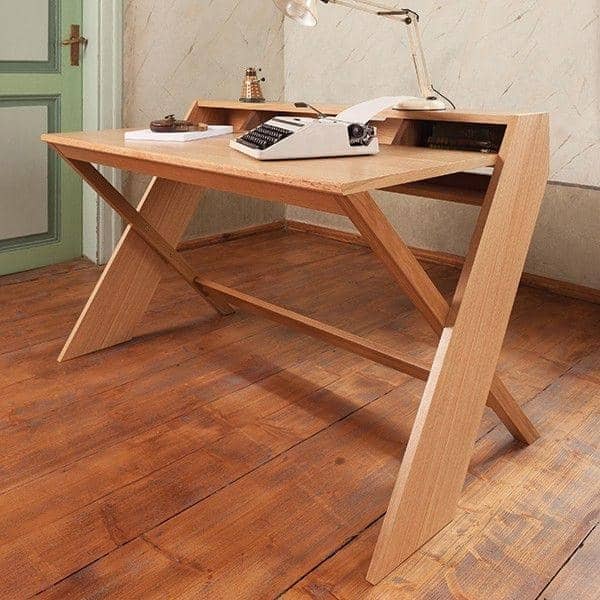 He brings “an enquiring mind and novel perception” to all of his endeavors. 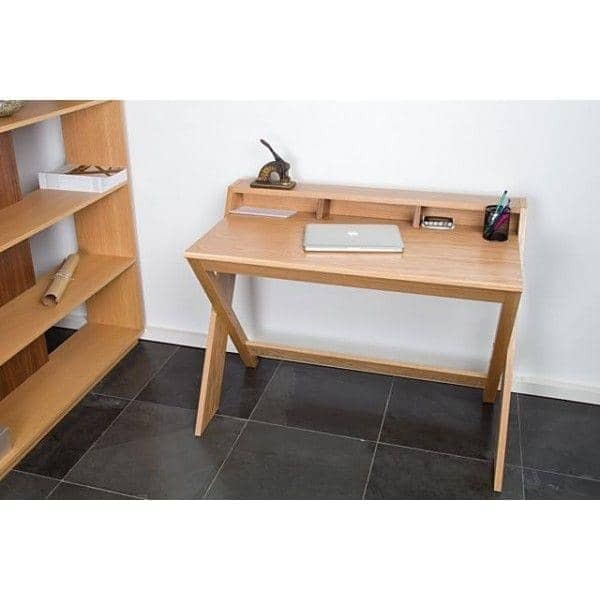 Finish: Made in Oak (veneer and solid Oak for the structure) of very high quality.